Hand crafted and seasoned to perfection! 8 oz. burger served on a bun with lettuce, tomatoes, onions, and pickles. 8 oz. 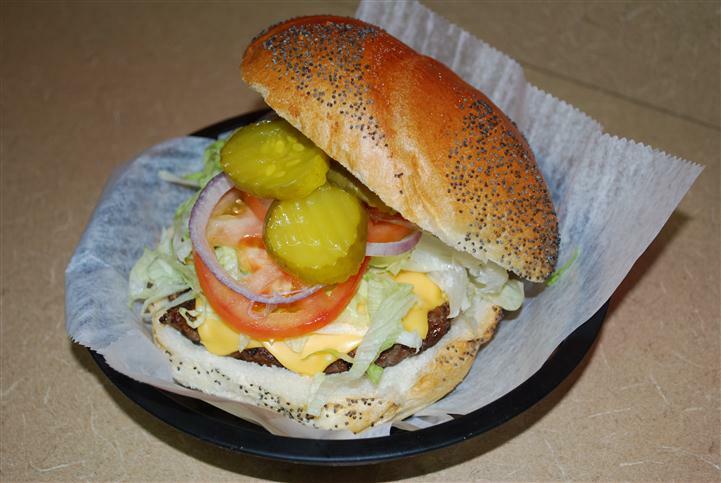 burger served on a bun with lettuce, tomatoes, onions, pickles, and cheese. 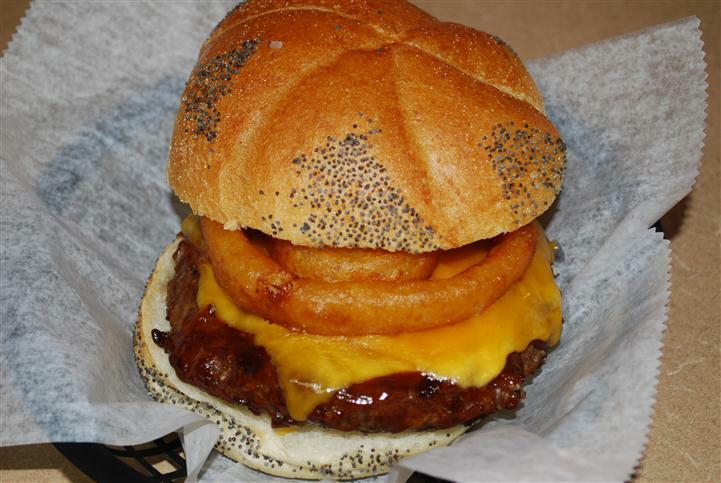 One of our 8 oz burgers with BBQ sauce, cheddar cheese, and onion rings.